A gigantic live animated graphic that adapts to the audience dance. Epic. 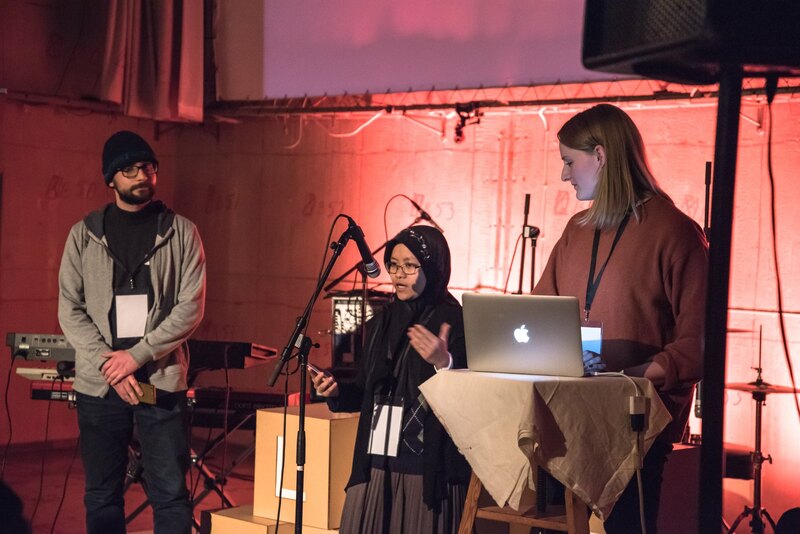 Johanna Nordlöf, Roisatul Azizah & Ali Semi Yenimol built the most epic crowd dance animations imaginable. Period. These guys hooked up the mains screen behind stage to the Stagecast platform and used the user's accelerometer data. The more active the crowd, the wilder the epic graphics became. They called it an epic dance. We call it the best way to hype a crowd. The epic dance was built using the Stagecast HTML Moment and was fully functioning by the end of the day. An astonishing group effort!